In 1995, the first codified version of Scrum was made public. In 2010, the co-creators of Scrum, Jeff Sutherland and Ken Schwaber, described the roles and rules of Scrum in the Scrum Guide. The Scrum Guide is globally recognized as the definite body of knowledge to Scrum. The value of the Scrum Guide however is more than just a prescription of rules and roles. The deeper value of the Scrum Guide is in the description of behavior typical to Scrum, behavior that is grounded in the values and principles of the Manifesto for Agile Software Development created in 2001. 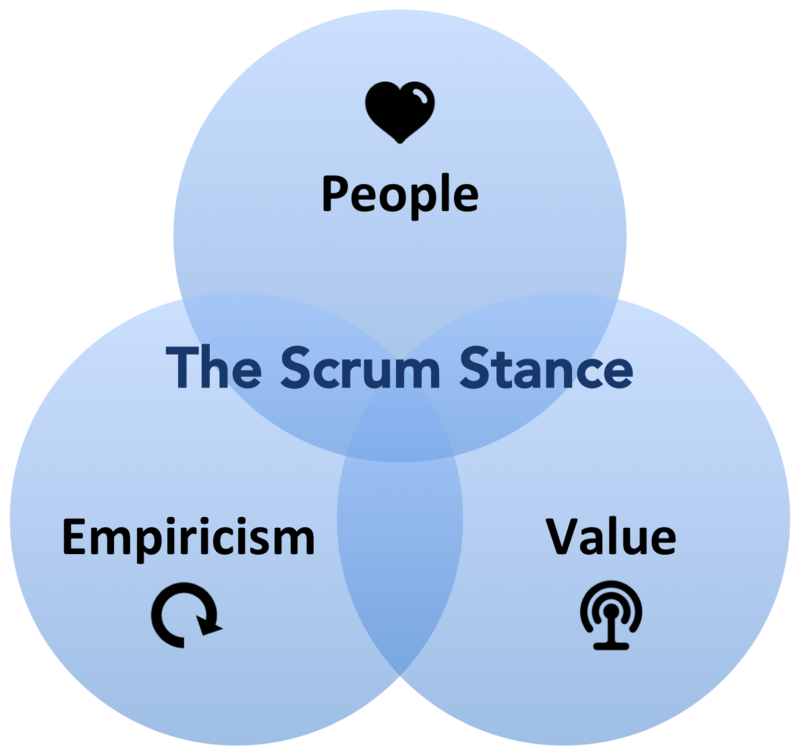 Ultimately, the Scrum framework can even only be fully comprehended when its rules and roles are read as an expression of these values and principles. The rules of Scrum in themselves are simple. As is shown in Conway's game, complex patterns and behavior emerge from simple rules. Complex problems, like software product development, can be solved through the simple rules of Scrum. More complicated rules wouldn't help, but only... -well- complicate things. More complicated rules are a waste because the exact scenario for each and every complex situation can never be fully captured, no matter the detail and the number of rules. People are respected for their intelligence, creativity and ability to organize their own work. People self-organize and collaborate toward shared goals, adhering to the values and principles of the Agile Manifesto and embodying the Scrum values of respect, focus, courage, openness, and commitment. Empiricism is acknowledged as the best way to deal with the complexity, uncertainty and unpredictability typical to software development. In empiricism only reality and past results are accepted as certain. Therefore, at a regular cadence, outcomes and behaviors are transparently inspected for new and changed insights against set goals. These insights are used to adapt to the observed reality. The Value of all work is continually observed and optimized. Maximized value is the goal throughout the ecosystem of creators, stakeholders and consumers. Value comes in different shapes and forms, depending on context and moment; satisfaction, money, credibility, risk, improvement. 'Value' is very different from traditional development drivers like adherence to budget, tasks, scope, time, schedule. In the end, Scrum has many appearances; process, framework, tool, method, pattern. In the end, Scrum -like all things agile- starts and ends with people. Scrum is a stance, too. 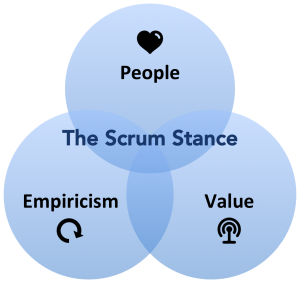 People take the Scrum Stance when they employ empiricism to optimize the value of their work. From that stance the purpose of the rules and roles of the Scrum Guide gain clarity.